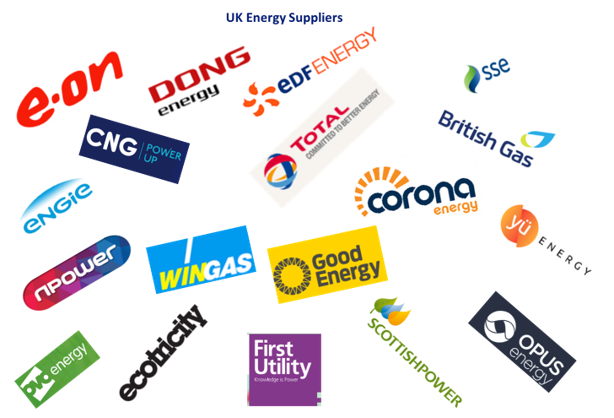 The UK energy market is the most open and competitive market in Europe enabling energy buyers to source both fixed price and flexible price products over 2, 3 or 5 year contract periods. The choice between Fixed v Flexible price contracts boils down to the buyer’s attitude to risk. Both types of contract carry inherent risk for example, buying a fixed price fixed term contract may give you peace of mind but the chances of getting it right are no better than 50:50. In volatile markets, flexible price contracts backed up by a risk management strategy can deliver much better results than fixed price contracts. If you need help in setting up your procurement strategy, Watts-ON consultants are here to help. In the UK, the price of the energy commodity itself now represents less than 40% of the total price compared with 10 years ago. Today, increasing government levies & distribution costs account for most of the final consumer price. 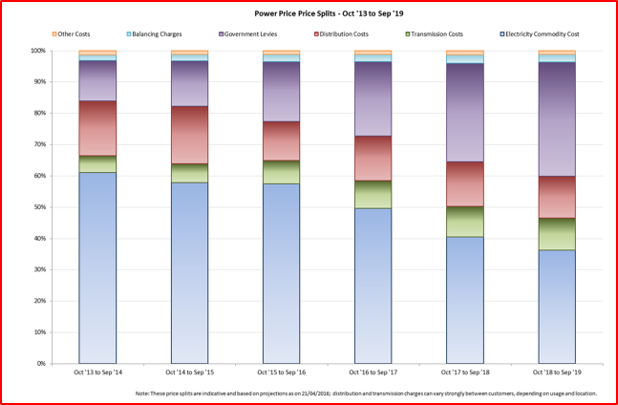 Buying competitively & understanding the price signals for each cost components is as important as buying the energy commodity at the correct price. Bill validation, budgeting and forecasting.